Our team of certified care workers support many elderly people in the GTA, assisting them with a variety of activities during the course of the average day. If you are not as young as you used to be and are having difficulties coping on your own, call Royal Canadian today to find out what we can do for you. Some people are happy to move into retirement homes that have on-site care and nursing teams to provide support to all residents but if you would rather maintain your independence by staying in your own home, our friendly, professional caregivers could be the solution for which you have been searching. 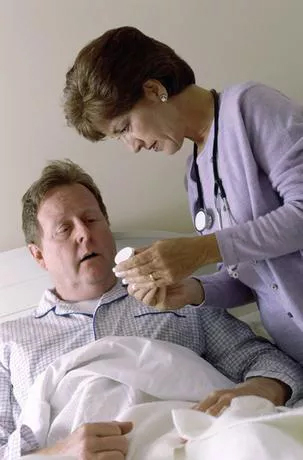 Getting in and out of Bed – One of the most difficult tasks that the elderly and infirm face on a daily basis is that of getting in and out of bed first thing in the morning and last thing at night. If you are finding it hard to manage this simple activity on your own, our carers will be more than happy to be of assistance. Bathing and Personal Hygiene – Strangely enough, it can be much easier to accept help from a paid carer than it can a friend or family member when it comes to personal activities such as bathing and personal hygiene. Our caregivers for elderly Toronto residents are trained to provide professional assistance with these types of activities while ensuring that you maintain your dignity at all times. Preparing Meals – Having 3 meals a day prepared for you by personal care aides can make life much easier if you are living alone. If you wish to have your meals prepared by a member of our team, you can, of course, get together with them beforehand to discuss the type of menu you have in mind. Light Cleaning Duties – If you find you are no longer able to keep your home clean and tidy during the week, our caregivers for elderly Toronto men and women will be delighted to help with general cleaning activities. It is surprising how much difference a quick dust and vacuum can make to a home, especially if you have been having trouble coping recently. Keeping Track of Medication – Some elderly people find it quite difficult to keep track of the different pharmaceutical products they are supposed to be taking on a daily basis but there is no need to worry if you are hiring one of our caregivers for elderly Toronto residents because he or she will be able to help you with this important task. To find out what else our carers and personal care aides can help you with, please call and speak to one of our consultants today. Once we know exactly what you need, we can put together a custom care plan just for you.